I say my "first time" because there is going to be a second time, and a third! They make "healthy eating" taste nice sha. When I was invited to have lunch there I quickly wacked 2 wraps of pounded yam in my house because I cannot come and go and be eating grass and not bellyful. I was pleasantly surprised that it wasn't the case. It's been a while since I've done a review here abi? Let's bring it back! I went alone but met Torera Idowu, she works with Genevieve Magazine and she loves to DIY! She's interested in vlogging and I hope she does oh, she was so passionate talking about her interests. I also had a chance to meet Kevwe from Pulse, nice dude and he mentioned that he knows where I can find art in Lagos for cheap...I need to call him! I also met Oge Agu from Kamdora, fine somebody. 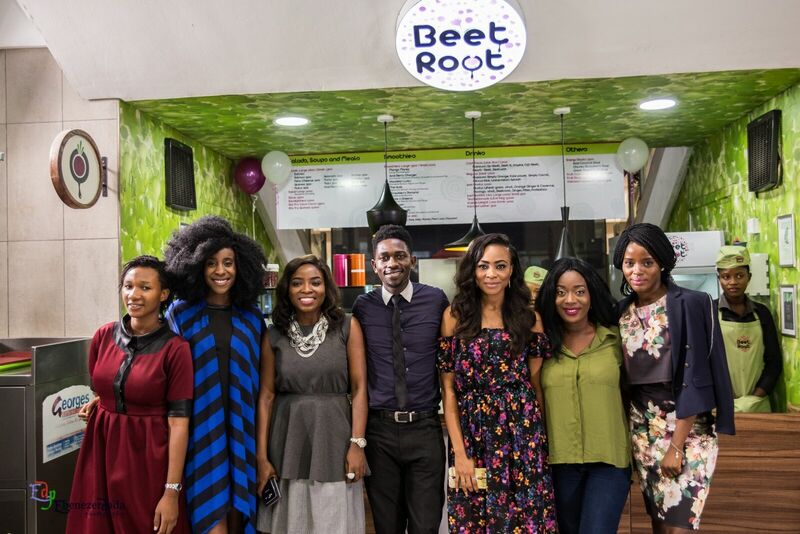 There were other bloggers there but these are the people I had a chance to gist with. 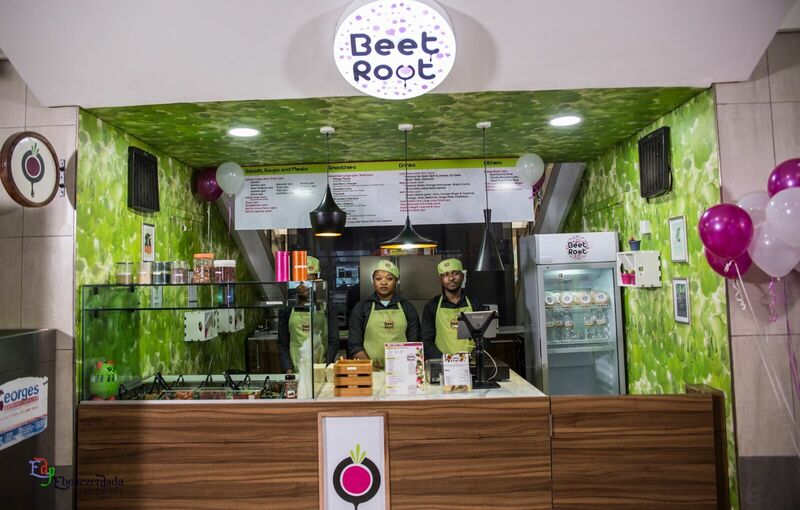 Beetroot Salad Bar is located at the Palms Lekki, the food court. If you've been to The Palms then you know where I'm talking about. It's a stall and then you take your food to the court to have it. 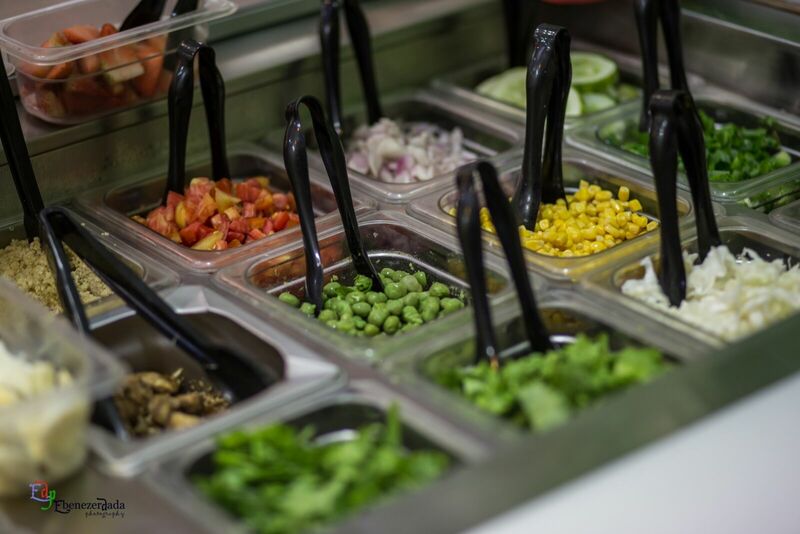 The staff were very friendly and they were helpful when I needed them to suggest something to eat. 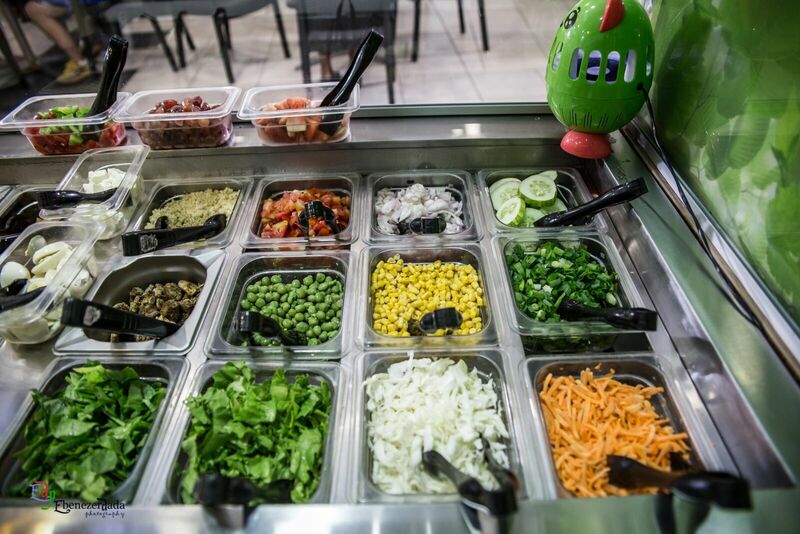 The Beetroot Salad bar is a vibrant brand, like Sweet Kiwi, I hear they are both owned by the same person so go figure. Colourful, fun! 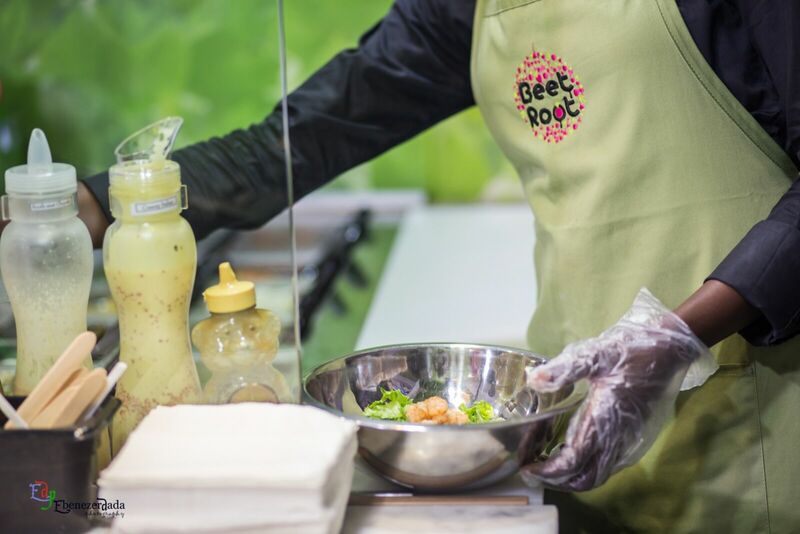 They had quotes on the wall and my favourite was "Beets Don't Kill My Vibe"
Beetroot serves salads, Sandwiches, Cold Press Juices, Smoothies, Fruit Bowls, Wraps (yummy! ), Iced tea, Swirly roots, and Popsicles. I wasn't sure what to have but the had spicy chicken and that sounded good to me. Saw some of my favourites like Carrots, Cucumber, Cabbage, Lettuce...cannot go wrong with this combination abi? I asked that something nice be recommended for me (I do that a lot i.e go to a restaurant and ask the after to give me his favourite meal from the menu LOL-Indecisive me). I told them I like sweet and spicy so I ended up with Tomato Basil Wrap with spicy chicken, lettuce, sweet corn, cucumber, carrots and a sweet italian dressing. I also had a smoothie-I could not pronounce the name. LOL. It was a Hawaiian Smoothie. The contents? 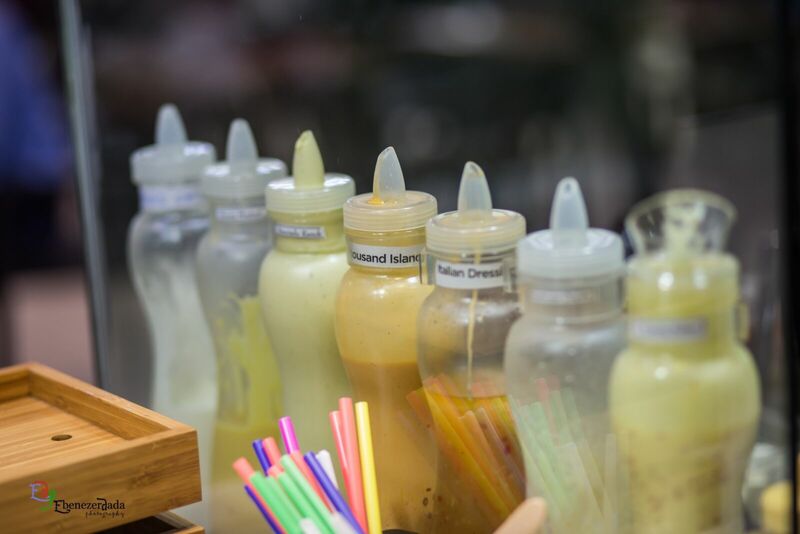 Mango, Banana, Pineapple-you know i love mango! 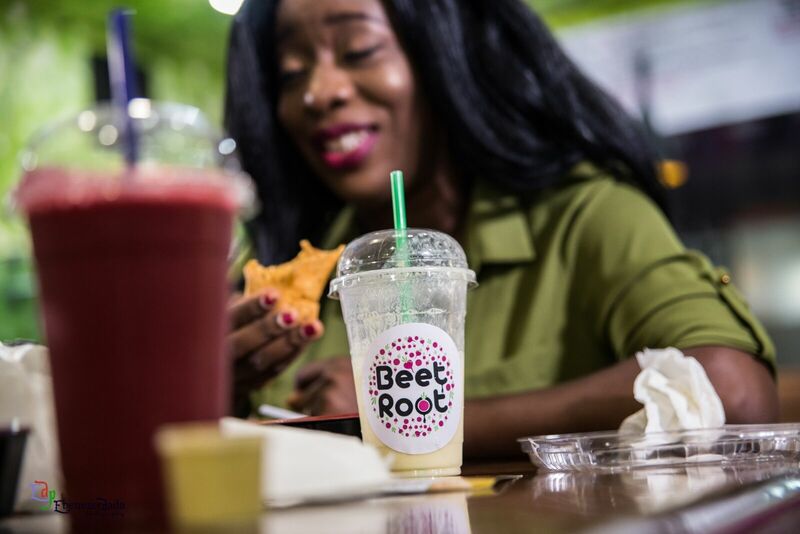 After seeing Torera's red smoothie, I really wish I had a beetroot smoothie seeing that it was the name of the brand and I love beetroots too. I will go back again, I could not resist buying a "takeaway" for Bobo because what does it profit a man to hear his wife describing good food she had when he cannot taste it? LOL. I'm still on the weightless train so I know what I'm having if I'm ever at The Palms. 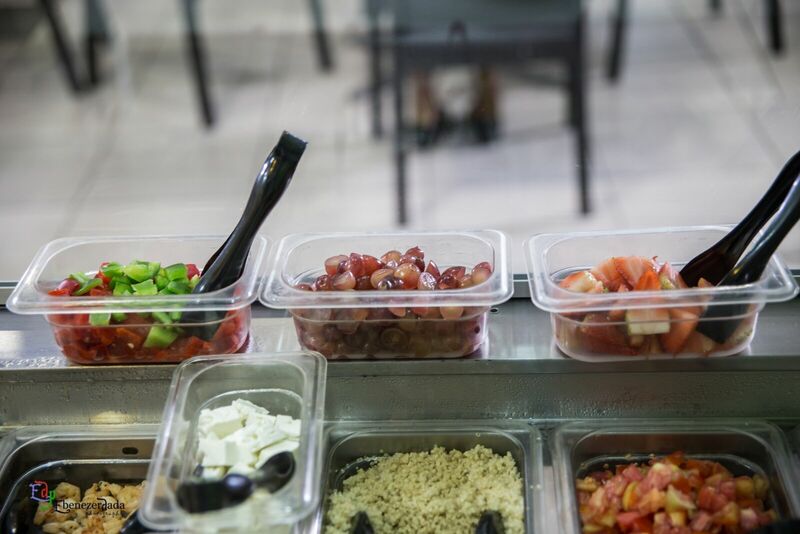 Have you been to Beetroot Salad bar? 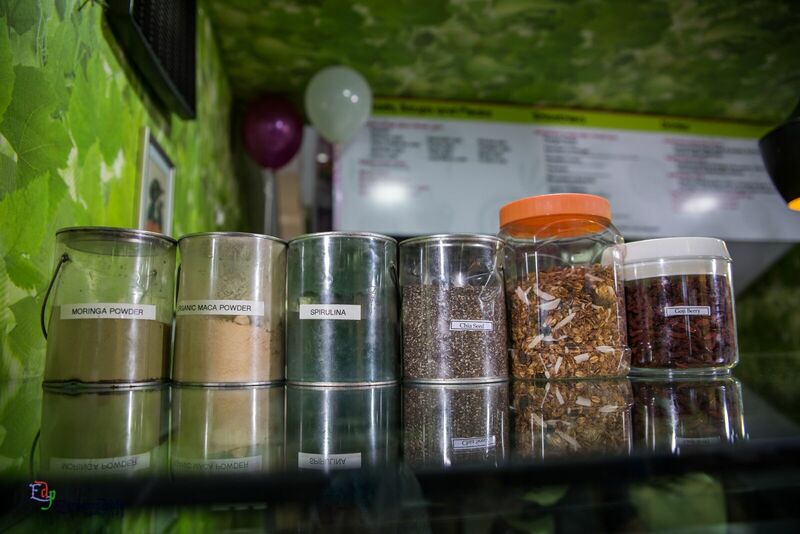 Do you know other "healthy eats" in Lagos? I want to try them all. I think I'll give them a try. Awesome pictures by the way. Packaging on point. 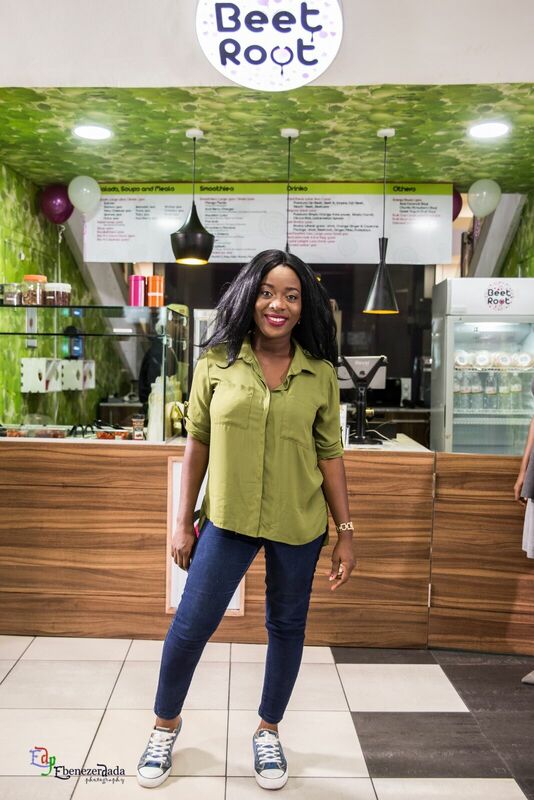 Sisi, you look great in those sneakers! Oh and I see Nimide from Style Vitae up there with you. 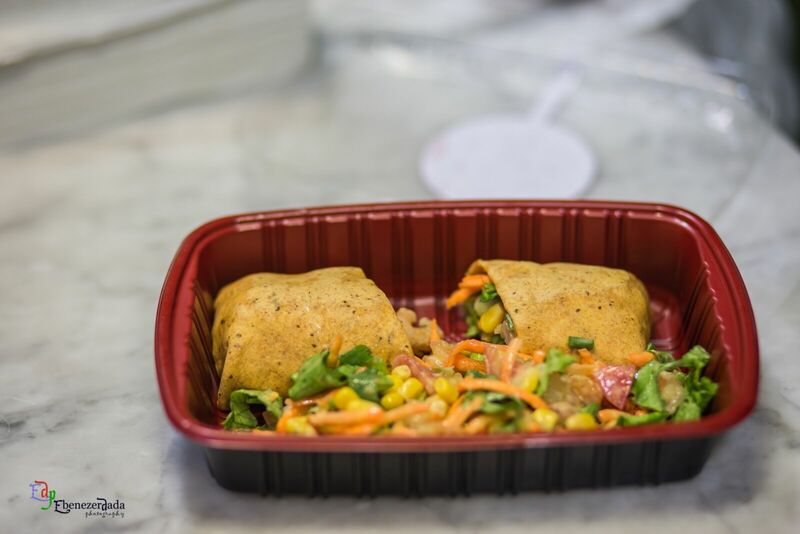 I'm actually quite impressed with all the healthy eats springing up in Lagos and the fit fam lifestyle we are taking up. This place and the food def looks good! hey Sisi! What was the damage? Cost? That's a lot of vegies in a bowl.I don't belong to the fit fam.I eat everything that tastes good.Will probably check this out someday. Everything looks absolutely amazing. Cannot wait to try it. 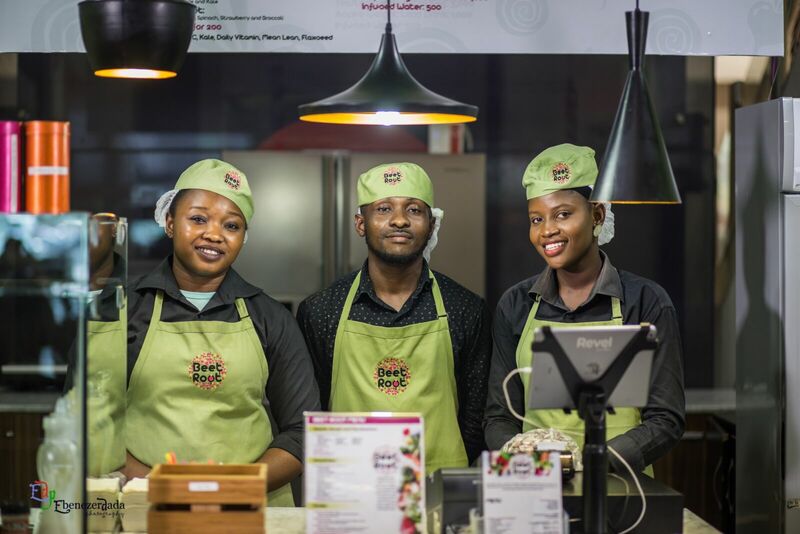 This fitfam craze is really hitting Lagos - the number of healthy focused restaurants has increased in recent months. It was good. Not every time mama put, some time healthy food. I might just try Beetroot whenever I come back to visit.